Bebe Rexha and Florida Georgia Line now have the longest-running streak on the Billboard Hot Country Songs chart and achieved cross over success on the Pop Music charts! More here. 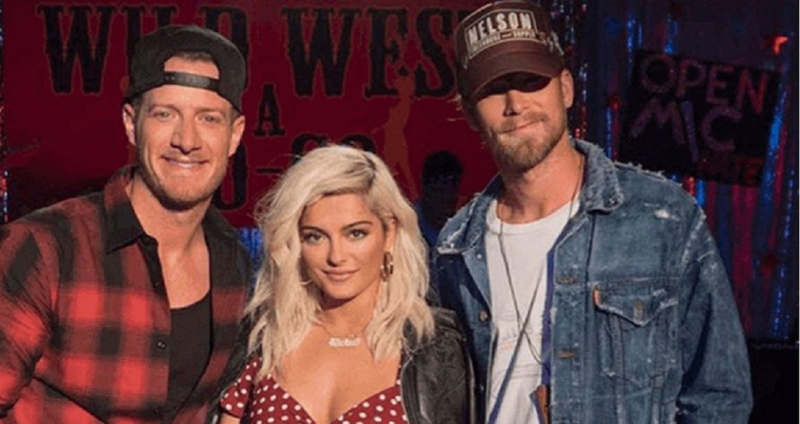 Move over, Sam Hunt‘s “Body Like a Back Road.” It’s official— Bebe Rexha and country duo Florida Georgia Line now have the longest-running streak on the Billboard Hot Country Songs chart with their 3X Platinum-certified hit song “Meant to Be.” The artists’ tune premiered at the top of the chart on December 16, 2017 and reigned supreme an unprecedented 41 weeks straight! The song also reached #2 on the Billboard Hot 100 songs chart making this tune a Pop and Country hit. Watch the official music video and check out the live performance on the Ellen Show below. “I’m grateful to be able to create music that allows me to push limits and push myself. I’m grateful for all the love and warmth from the country community [and give] credit to country greats who influenced me: Johnny Cash, Dolly Parton, Dixie Chicks, Shania Twain, Taylor Swift, Carrie Underwood and so many more. Here’s to writing with your heart and breaking boundaries,” expressed Bebe Rexha. “Meant to Be” became FGL’s first No. 1 Hot Country Songs debut and marked only the fourth No. 1 entrance in the chart’s history. Rexha also became the first solo female to launch in the top spot. Hubbard, Rexha, Josh Miller, and David Garcia penned the the song, which has now surpassed the country group’s own former record-breaking “Cruise” (24 weeks). Watch the trio rock their live performance of “Meant to Be” on The Ellen DeGeneres Show below! Share this big news with other fans of this hit and follow Bebe below.